European car sales figures from Jan-September 2014 illustrate an unexpected bright spot at FCA’s beleaguered Fiat division. It’s not much to write home about, but the former Torinese powerhouse is once again dominating the sub-compact car market. 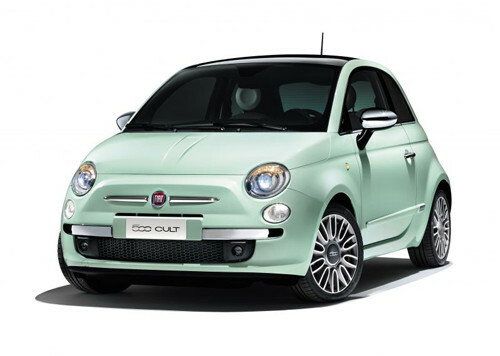 Between the top selling 500 and second placed Panda, Fiat have the mini-car sector sown up, with joint recorded sales of over 239,000 in the year to September. The 500 has performed well above expectations this year; especially so given the model’s age, with sales up 16% on 2013. The good news for Sergio continues with a small miracle occurring at Lancia. Okay, a very small miracle, but one which demonstrates the power of prayer. Sales of the Ypsilon have risen 12% on 2013, suggesting rumours of the marque’s imminent demise may be premature Taken as a whole, FCA’s share of this sector currently sits at 32%, double the combined sales of arch-rival VW Group’s UP!, Skoda Citigo and Seat Mii. In small MPV’s, Fiat has also performed well, the challenging appearance of the 500L no disincentive to buyers – sales up 38% on last year. However, Nissan’s new Note has stormed in with an upswing of 150%, so the 500L’s hold could become tenuous. In other news, Lancia managed to sell a whopping 9 Musa’s (yes, nine!) within the same period – well at least they tried. This all appears quite impressive and in many ways it is, or would be if you ignore other sectors where Fiat has traditionally performed strongly. 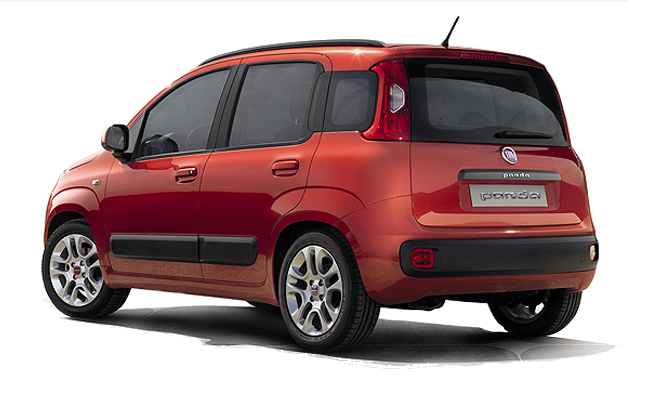 Take the supermini segment where this year the Punto’s decline has accelerated, with volume down 19% on 2013. The current sales champ – Ford’s Fiesta, is 72% more attractive to buyers. It really doesn’t seem all that long ago when the Punto was Fiat’s heartland model, but when was the last time you saw a new one? I had to check it was still on sale. Despite repeated noises relating to a replacement being developed, this looks increasingly like a sector Fiat is in danger of abandoning. You know you’ve got problems when even positive news stories come with a persistent storm cloud. Because it’s worth reminding ourselves here of the margins available at these price points. While rivals amortise costs with joint ventures at this level, Fiat goes it alone – albeit with a platform originally developed by Ford – or in the Punto’s case, GM. To be blunt, Fiat’s mini-market dominance will yield little apart from securing a few thousand jobs. Meanwhile FCA’s bottom line remains resolutely awash in debt. Fiat continues to pay a heavy price for its historic over-reliance on small cars; something that is only beginning to be seriously addressed now. There can be little surprise that FCA’s European focus in 2015 will continue to be upscale, because although volume matters a great deal to Marchionne and FCA, volume without profit can only ensure a one way ticket to Palookaville. 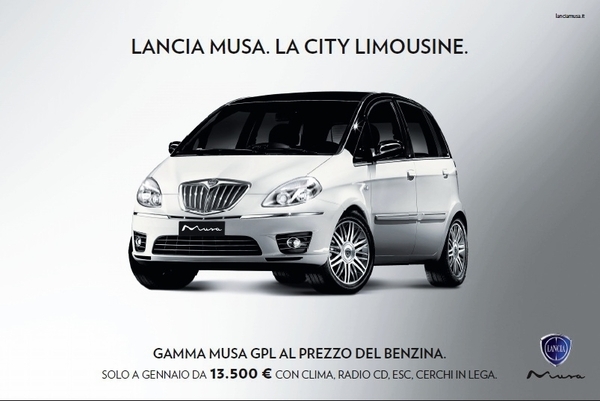 Fair point and to save others having to do likewise, the Ypsilon has been supplanted by a Musa. Has anyone actually seen one of these in the wild? Surely they built more than 9 of the things? The only Musa I have ever seen is one owned by a neighbour of my brother who lives outside Basel. I think I saw a couple of these in Austria, but I really couldn’t be bothered to work out what they were called. In theory, a ‘City Limousine’ would suit me fine – saving me from making the inappropriate purchase of a Nissan Cube, but I think not – even if it was available in the UK. It’s little different from the Fiat. You’d have want the Lancia-exclusive fabrics very badly indeed to feel the extra cost would be justified. I wonder is the supsension tuned any differently from the Fiat? I’ve seen a few Musas on German roads, but that was a few years ago, during Lancia’s last marketing push, pre-Chryslerification. In Italy, it actually wasn’t a rare sight, but then again neither were Cityrovers on certain isles for a brief period. Cars like the Musa make a lot of sense seen in their natural element i.e. the ancient towns of Italy. I saw a fair few of them on my last trip there, in Bologna. But then again I also saw a Thesis within 10 minutes of landing there so anything was possible from then on.